Vide notification no.9/2016 dated 09.06.2016. 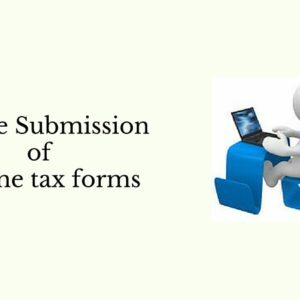 Forms are to be submitted to department on quarterly basis. 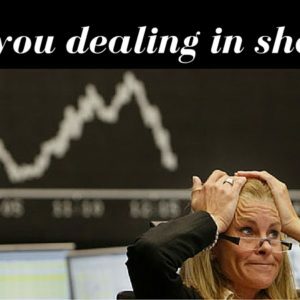 Are you dealing in shares? 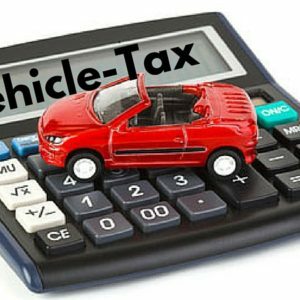 Are you aware of latest amendment by finance act, 2016 in this respect? If you are the person who also holds the shares of those companies which are not listed on a recognized stock exchange, than for your information period of holding for the purpose of determination of short term or long term capital asset has been reduced to 24 months in case of investment in unlisted shares of a company. July 31 is not far away. It is the time to gather all your income details and proofs for the purpose of filing of income tax return for the Assessment year 2016-17. Wait! Think twice before you submit your return. Have you included all your incomes? The first house property that one buys is exempt from income tax. However, the second property onwards, even if it’s kept under lock and key, a notional rent value based on the market rental value will be adopted as taxable income from the second property. To put it differently, even if a taxpayer earns no income whatsoever from the second property, it will be taxable as if he has put it out on rent. House property does not include plot of land. To give some relaxation, there are certain deductions allowed from this notional rental income namely Municipal Taxes Paid, standard deduction of 30% and interest on the housing loan. Only the dividends received from an Indian Company which has suffered dividend distribution tax in the hands of company, is exempt from tax under Sec 10(34). Dividends from foreign company are not exempt. Dividends received in the hands of unit holder for a mutual fund, whether equity or debt, is tax free. Secondly, being exempt does not mean it is not an income. Many people do not show dividends in the return assuming that it won’t matter since they are exempt. Remember, the correct way is to include them under “Income from other sources” and then claiming exemption under Sec 10(34). PPF income is exempt under Section 10(11). To reiterate, please include it under interest income in the return and then claiming exemption under the aforesaid section. Long term capital gain on sale of equity shares or units of equity oriented mutual fund is exempt under Sec 10(38) subject to fulfillment of certain conditions. To reiterate, please include it under capital gain in the return and then claim exemption under the aforesaid section. 5. Interest on fixed deposit and recurring deposit taxed on accrual basis and not on maturity. Usually the interest on fixed deposit and recurring deposit are received on maturity and the taxpayers accordingly include the interest in the return of year of receipt. This is not correct. The interest is to be considered on accrual basis i.e. even if the deposit is not matured at the year end, interest credited to the account shall be added to the total income and should be shown in the ITR but many taxpayers tend to forget it. This is a major misconception that tax payers have. Tax saving Deposit is eligible for deduction under Section 80C but the interest earned on it is 100% taxable. Many taxpayers ignore the saving bank interest in their returns. Perhaps the main reason is that many tax return preparers do not call for the information on this interest. Remember, sum up interest on all saving bank accounts and include this interest in return and claim relaxation under Section 80TTA up to Rs 10000. 8. Certain gifts are taxable. Tax Laws does not barred you from receiving gifts but put a limit of which you can receive gift without paying any tax. Gifts received from friends or other persons, other than blood relatives, for more than Rs 50000, whether in cash or otherwise, are taxable. However there are some specified cases where such gifts will not be taxable e.g. gifts received on marriage. Further, any gifts given to the spouse, minor child and daughter-in-law for inadequate consideration shall be construed as income in the hands of the individual making the gift. We get happy when we receive tax refund from income tax department for return filed. But the department pays the amount of refund together with interest. Remember, this interest is taxable and to be included in ITR. Usually we see that that the husbands give a certain amount to wife for household expenses every month. Many of them manage to save money to buy gold, invest in shares and make investments like RD or FD etc. Clubbing provision of Income Tax Act does not apply on the income from the investment made out the pin money. But since might be incomes from such investments, which are to be shown in the return of homemaker. But only few of them file ITR, which results into creation of black money. 11. Minor child income is taxable in the hands of the parents. Income from investments made in the name of child, like fixed deposit, NSC, PPF, shares etc. evokes the clubbing provision and the gift needs to be included in the income of the parent whose total income is higher before including the income of the minor. However, if the child earns income from his/her own skills or experience than the clubbing provision remains silent and he/she is required to file ITR in his/her own name. If an individual sells this house before the expiry of five year from the end of year in which he gets possession or receives the loan, then the amount of deductions under section 80C in prior years, allowed as repayment of home loan principal is to be added back his taxable income in the year of transfer or receipt. However, this rollback is not applicable on deduction claimed under Section 24 (b) on interest payable on such loan. Government of India has recently issued Circular no 22/2016 dated June 8, 2016 to provide clarifications regarding amendment in Sec 206C of Income Tax Act. 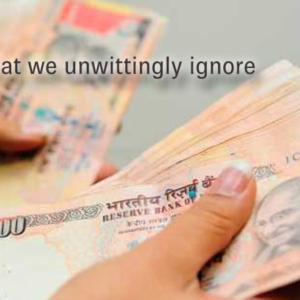 Requirement of calculating disallowance of interest expenditure not directly attributable to any income or receipt eliminated. Considering investments, income from which shall not form part of total income, for the purpose of disallowance remained as it is . Standard disallowance to be based on annual average of monthly average of opening and closing balances of investments instead of average of investment as appearing in the balance sheet of the assessee, on the first and the last day of the previous year . Quantum of disallowance to be 1% instead of ½%. Sub rule 3 defining meaning of “total asset” deleted due to its becoming redundant on elimination of formulae for calculating disallowance of interest expenditure not directly attributable to any income or receipt. 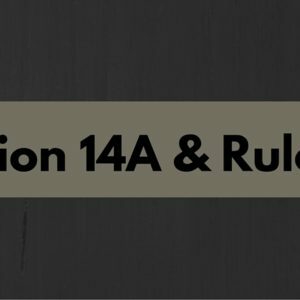 This Section 14A read with rule 8D has resulted into excessive litigation due to disallowances worked out by applying rule 8D resulted in abnormal disallowances even exceeding the total expenditure claimed by the assessee particularly due to applying sub rule(2)(ii). 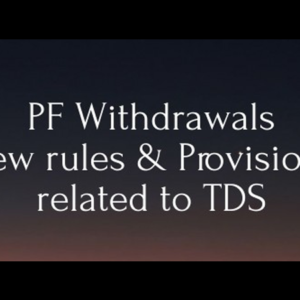 there will be no disallowance based on the formulae prescribed ( Rule 8D as existed before this amendment is reproduced below) of interest expenditure which is not directly attributable to the exempt income or receipt. Further standard disallowance of ½% has been increased to 1% and calculation method has been changed to “annual average of the monthly averages of the opening and closing balances of the value of investment”. No amendment has been made for not considering the value of investment , income from which shall not form part of total income. This may continue to result in litigations in respect of investments made not for the purpose of earning dividend but made as strategic investments in unlisted companies. These strategic investments are generally sold at a future date and will be liable for capital gains being not covered by Section 10(38) due to absence of payment of STT. There may not be any dividend earning on such investments. But assessing authority may not be agreeing to this aspect and will be more inclined otherwise. A limit has been placed for disallowance to a maximum of total expenditure claimed by the assessee. Sub rule 3 defining meaning of “total asset” deleted due to its becoming redundant on elimination of formulae for calculating disallowance of interest expenditure not directly attributable to any income or receipt. Expenditure incurred in relation to income not includible in total income. (1) For the purposes of computing the total income under this Chapter, no deduction shall be allowed in respect of expenditure incurred by the assessee in relation to income which does not form part of the total income under this Act. (2) The Assessing Officer shall determine the amount of expenditure incurred in relation to such income which does not form part of the total income under this Act in accordance with such method as may be prescribed19, if the Assessing Officer, having regard to the accounts of the assessee, is not satisfied with the correctness of the claim of the assessee in respect of such expenditure in relation to income which does not form part of the total income under this Act. Provided that nothing contained in this section shall empower the Assessing Officer either to reassess under section 147 or pass an order enhancing the assessment or reducing a refund already made or otherwise increasing the liability of the assessee under section 154, for any assessment year beginning on or before the 1st day of April, 2001. 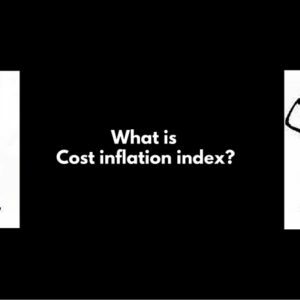 Method for determining amount of expenditure in relation to income not includible in total income. in relation to income which does not form part of the total income under the Act for such previous year, he shall determine the amount of expenditure in relation to such income in accordance with the provisions of sub­rule (2). (iii) an amount equal to one­half per cent of the average of the value of investment, income which does not or shall not form part of the total income, as appearing in the balance sheet of the assessee, on the first day and the last day of the previous year. (3.) For the purposes of this rule, the “total assets” shall mean, total assets as appearing in the balance sheet excluding the increase on account of revaluation of assets but including the decrease on account of revaluation of assets. 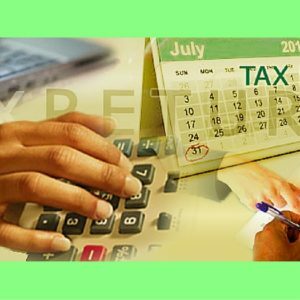 June 15 is approaching and so the deadline for taxpayers to pay advance tax as prescribed. 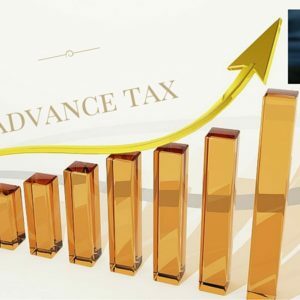 Some changes have been made in the advance tax provisions as far as applicable to an Individual. In this article, we will discuss the various provisions relating to payment of advance tax by a taxpayer. Criteria for selection and due dates for filing of income tax return for A.Y.2016-2017. 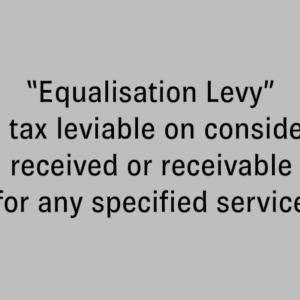 Equalisation levy-Tax on nonresident conducting online activities like Facebook, Google, etc.